How I hadn’t seen it before is anyone’s guess. Everyday I make the journey from my front door to the mailbox and back. Everyday, I see the glass storm door and white paneled front door as I walk back up the path. How. Did. I. Not. Notice? ….or was it selective sight? I only saw what I wanted to see, in this case a clean storm and front door. I had closed myself off to the reality of the true state of the door’s. I wonder if King Solomon had selective sight? The Lord had told Israel not to marry from the surrounding nations (Deuteronomy 7:3), and yet King Solomon had taken wives from other countries. In fact he had 700 wives of royal birth and 300 concubines (1 Kings 11:3). That’s a lot of wives for any man. A heart not fully devoted to God, that is not how he started out. 1 Kings 8:23 he prays “Oh LORD, God of Israel, there is no God like you in all of heaven above or on the earth below. You keep your covenant and show unfailing love to all who walk before you in wholehearted devotion”. As we walk this journey in our relationship with Jesus, we too can move from wholehearted devotion to being not fully devoted. Solomon had seen a lot of life and it had left a distaste in his mouth. Ecclesiastes 2 :17 Solomon says; “So I came to hate life because everything done under the sun is so troubling. Everything is meaningless—like chasing the wind”. 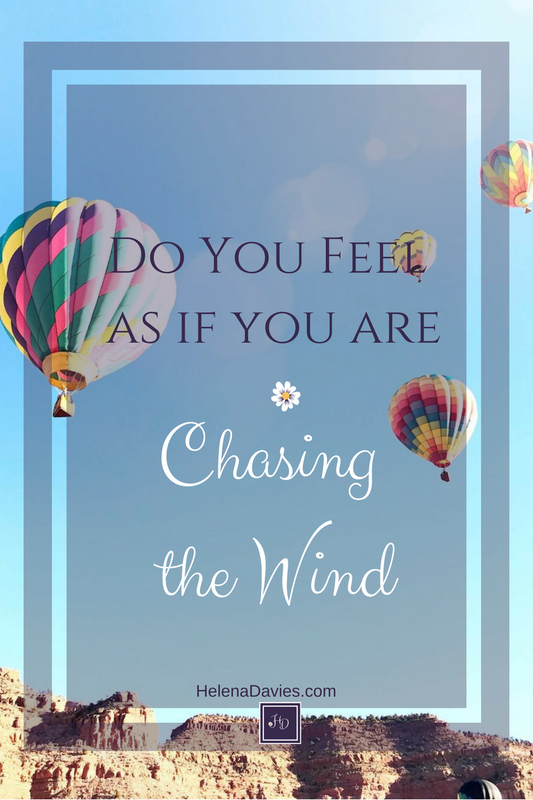 Has life left you feeling as if you are chasing the wind? Have you been wondering what is the point of doing what you are doing? No judgement here friend, I too have times where I question and ask, what’s the point. Then I am reminded the point is not just for the here and now. My reason (your reason) for existing does not end with the grave. When we live with God’s purpose in our hearts, we touch lives that touch lives, that touch lives. When we are wholeheartedly devoted to God we live with an eternity mentality. Meaningless existence becomes a Meaningful existence. I had my own yikes moment recently concerning my front porch! We get so busy that we just don’t see some things. However, in just the right light, it eventually becomes apparent. I find that to be true of the spirit, too. When the time is right, God shines his light on those areas he wants to help us tidy up.